What is the difference between stress, Acute Stress Disorder, and PTSD? Stress is a normal human reaction to something that threatens us or challenges our ability to cope. When challenged our bodies respond. Even good things we have looked forward to, like new jobs, marriages or the birth of a child, can cause stress. Negative events, loss of a job, divorce, sickness or the death of someone we love can be even more stressful. Stress is a normal part of life unless it gets out of control. Acute stress disorder is when something stresses us out and this stress results in impairment of our ability to function. It goes far beyond just being stressed out and needing time to recuperate. Acute Stress Disorder is a diagnosable mental illness, though much of it goes untreated and unnoticed and like adjustments problems or a mild depressive episode may go away by its self, untreated. If it becomes severe enough it needs treatment before the symptoms get out of hand. The symptoms of Acute Stress Disorder must last for at least two days and must happen during the thirty days after the stressful event. Once the episode lasts more than 30 days we reclassify it as PTSD. PTSD may also intensify and produce symptoms that are in excess of those seen in Acute Stress Disorder. 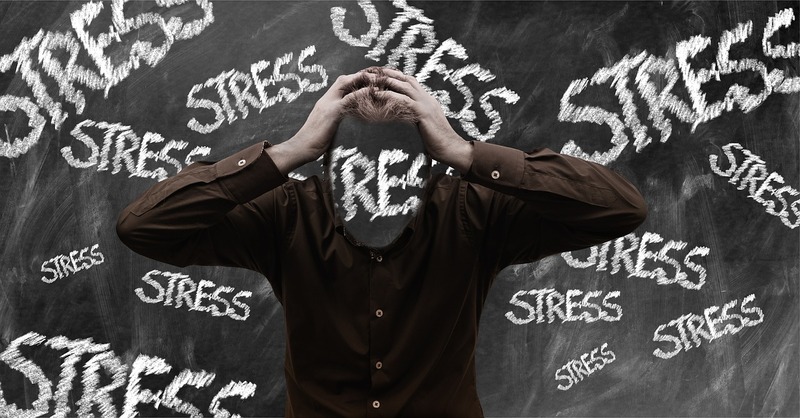 Acute Stress Disorder is not just being stressed out or needing time off from work, it is far more debilitating than those symptoms. Here are the things that need to happen for the stress to be Acute Stress Disorder. This is in my words, not the official DSM language. Warning: This description is not meant as a diagnose-your-self project. If you think you recognize yourself, a family member or friend in these descriptions you really should see a professional. 1. You experience or see something that makes you afraid you or someone close to you like a friend or family member will be killed or seriously injured. This could be an actual event or someone who threatened you and you believed them. As a result of this harm or risk of harm, you become intensely fearful, helpless, or horror-struck. Note this is pretty bad stuff, not just being chewed out by your boss or the risk of being fired. Those milder things are stressful and might result in an adjustment disorder if they affect you enough, but those non-life-threatening things don’t get called Acute Stress Disorder or PTSD. D. You get dissociative amnesia – can’t remember big chunks of what happened. 3. You keep reliving this experience, like that episode of Star Trek where every day they got up and it all happened again. Your life turns into a rerun. 4. You would go a mile out of your way to avoid places or people like that again. 5. You are on edge, jumpy and the least little thing sets you off again. 6. You get so upset you can’t go to work, avoid friends and are afraid to talk about this let alone ask for help. 7. This experience and all its terror lasts 2 days to 30 days. 8. By the way, if you did bad drugs and imagined this or there is something medically wrong with you – forget all the above and get to a doctor right away. So what makes it PTSD? If you have the above and it goes on over thirty days we change the name to PTSD. But then the longer this goes on the more the symptoms. This is one reason we are thinking that if we could get to people who have been injured and treat them right away we just might keep this Acute Stress Disorder from turning into PTSD. That means treating some people who could get better on their own without treatment in order to prevent others getting PTSD, but given the long-term debilitating results of PTSD, a little extra treatment might be worth it. Not sure what you think, but I believe that if we could provide appropriate services to all those returning GI’s from the Middle East we could prevent a lot of long-term suffering. Those guys are worth the effort right? For the accountants out there, prevention saves a lot of money on long-term treatment also. As Acute Stress Disorder goes past the 30-day mark lots of more severe symptoms develop, nightmares, extreme efforts to avoid anything that might remind them of the trauma and lots of drug and alcohol abuse. PTSD and alcoholism are best friends. There is disagreement right now about the best way to treat PTSD. I will write more in future posts on PTSD, stress and some available treatments and new approaches that sound really interesting. This entry was posted in PTSD & Stress and tagged Acute Stress Disorder, Anxiety, Post Traumatic Stress Disorder, PTSD, PTSD & Stress, Stress, stressful event, traumatic stress disorder by David Joel Miller. Bookmark the permalink.